Just like a real puzzle is lacking when it’s missing pieces, without prayer, your walk with Christ will be lacking as well. As a teacher, you have an incredible responsibility. You teach your students the ins and outs of various content and equip them with the knowledge they’ll need to be successful in life. You are important. Teachers are some of the most selfless people in the world doing a job that is, at times, thankless. Giving of yourself all day long. Pouring out into your students. And at times shoving lunch in your mouth in record time. You go out of your way to take care of your students. Not only catering to them at school, but your thoughts are long with them as you drive home and when you lay in bed at night before drifting off to sleep. As much as you give of yourself to your students, don’t forget to take care of you. A teacher that is well rested in body, spirit, and soul is what your students need. When’s the last time you prayed for yourself? And not just a “Lord, give me strength” quick prayer muttered under your breath when a student is challenging you. 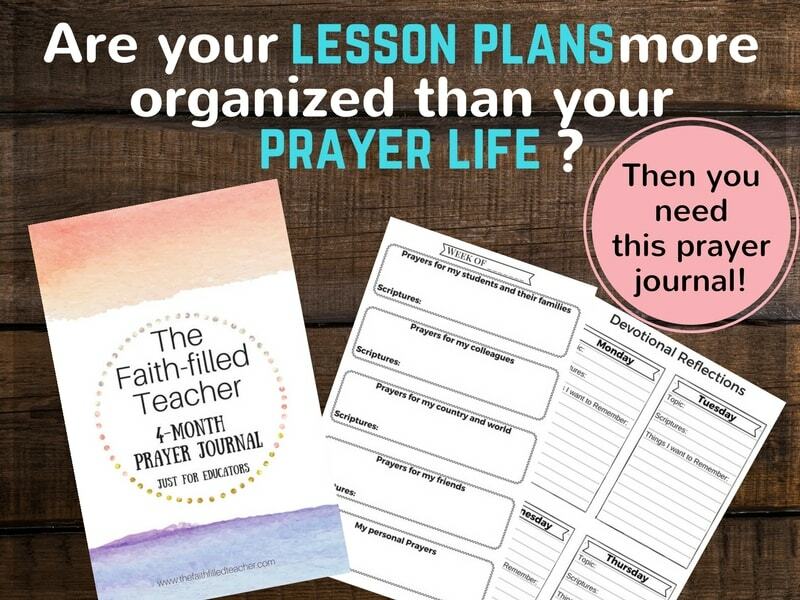 But when’s the last time you said a detailed, intricate prayer for yourself that directly targets your mission in the classroom? That’s why I wrote these prayers. 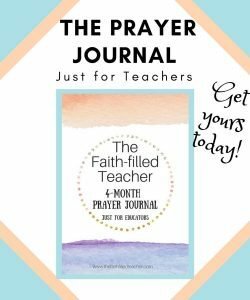 I thought about all of the ways a teacher needs to be equipped for teaching and came up with this detailed prayer with scripture references just for you. 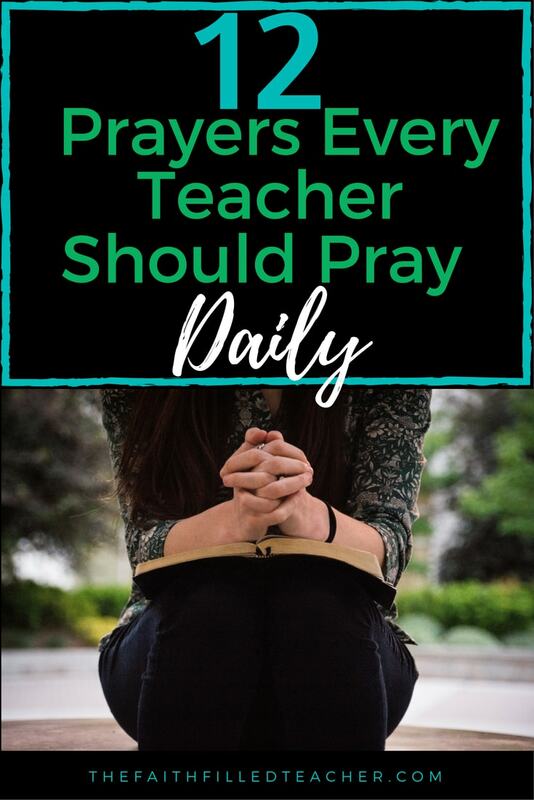 Pray these prayers each day before you walk in your classroom. I pray it blesses you and that, in turn, you are equipped to bless your students with your gift of teaching. I pray that I possess Godly wisdom to lead my classroom. Give me the wisdom to make the correct instructional decisions and plan my lessons effectively. I pray for wisdom to deal with conflicts in my classroom and for wisdom to deal with issues that may come up with colleagues or administrators. It’s easy to be lead by my flesh during my day in the classroom. Help me to walk in the Spirit. Holy Spirit, have a front row seat in my classroom. I pray that my hearing is sharp and keen enough to hear the voice of the Holy Spirit when I’m teaching and interacting with my students, colleagues, and administrators. My desire is that the Holy Spirit guide me each day. My desire is that my students and colleagues know that I am a follower of Christ by my fruit. 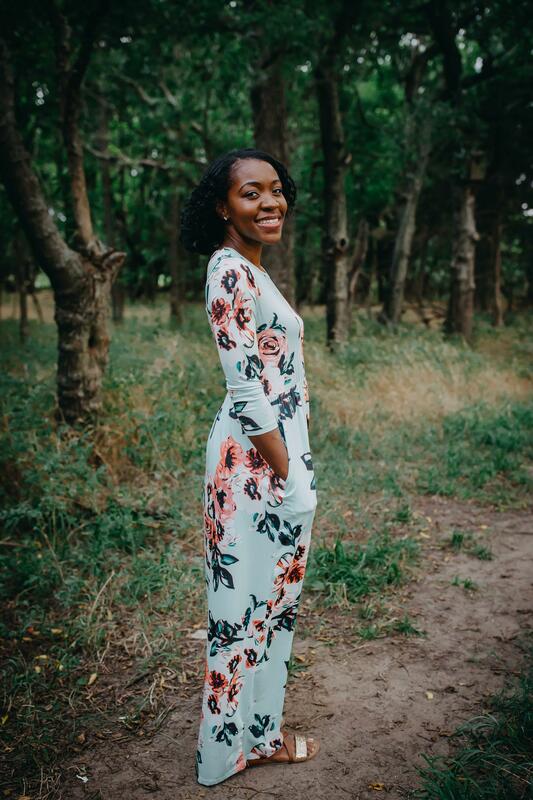 I pray I walk in love and possess true joy. My desire is to have a peaceful classroom and to operate in patience. I want to interact with my students with gentleness and goodness and remain faith-filled in spite of my circumstances. Help me to be humble and teachable at all times. 4. Love: Lord, help me to operate in unconditional love. Help me to love on my students, regardless of what behaviors they exhibit. 5. Joy: My desire is to abide in joy. Help me to not allow my circumstances to determine my mood, but to dwell in the joy that comes from being rooted and grounded in you. 6. Patience: Help me to have patience when dealing with my students. Help me to be slow to speak and quick to hear. I desire to have a classroom with a peaceful atmosphere. 7. Gentleness and Goodness: Help me to flow with gentleness each and every day. Remind me to see my students through your eyes. Remind me that each child is precious, unique, and carefully designed by you. Help me to look past their behaviors and see them as human beings that need unconditional love, support, and encouragement. 8. Faith: Lord, help me to have faith in spite of my circumstances. Help me to have faith in my students and faith that, through you, I can be the teacher you created me to be. 9. Meekness and Temperance: Help me to always remain humble and teachable. Help me to see my colleagues and my students as individuals I can learn from. Help me to think before I react and to operate in selflessness. While I’m in my classroom, help me to take the focus off of me and place it on You. I know that your Spirit dwells on the inside of me. Help me to renew my mind each day with your Word, and see things through the lens of the Word of God. I want to see my students as you see them. I want to be a light in my school and in my classroom, radiating with rays of the Son, Jesus Christ. Lord, help me to teach with grace. I know that no matter what I do, your love for me never ceases or changes. 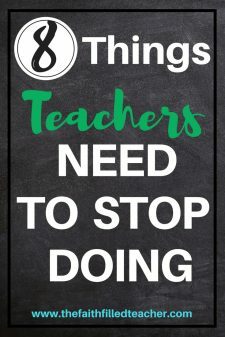 In the same way, help me to remember that no matter what my students do, the way that I treat them should never change. When my students fall short of my expectations, help me to see the vision of you on the cross sacrificing your all for me in spite of how I fall short every day. I pray that I am responsive, compassionate, and tender toward all of my students. Remind me to focus on You as I walk into my classroom. Help me to walk in step with the Spirit. My desire is to discern situations in my classroom through the lens of the Spirit and not of my flesh. 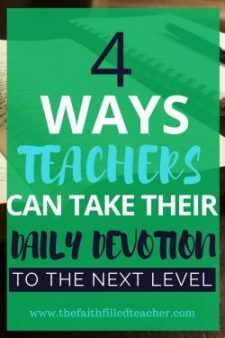 Guide me to discern how to best teach my students. I seek you for spiritual direction as I lead my classroom.